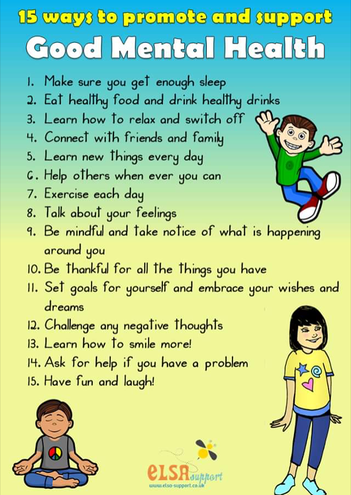 This week is Children's Mental Health Awareness Week and we are encouraging our children to be healthy on the inside and the outside. We will all be taking part in activities this week such as going for a jog around the playground, yoga, standing like a superhero and lots more. Please speak to your child's class teacher if you have any ideas!